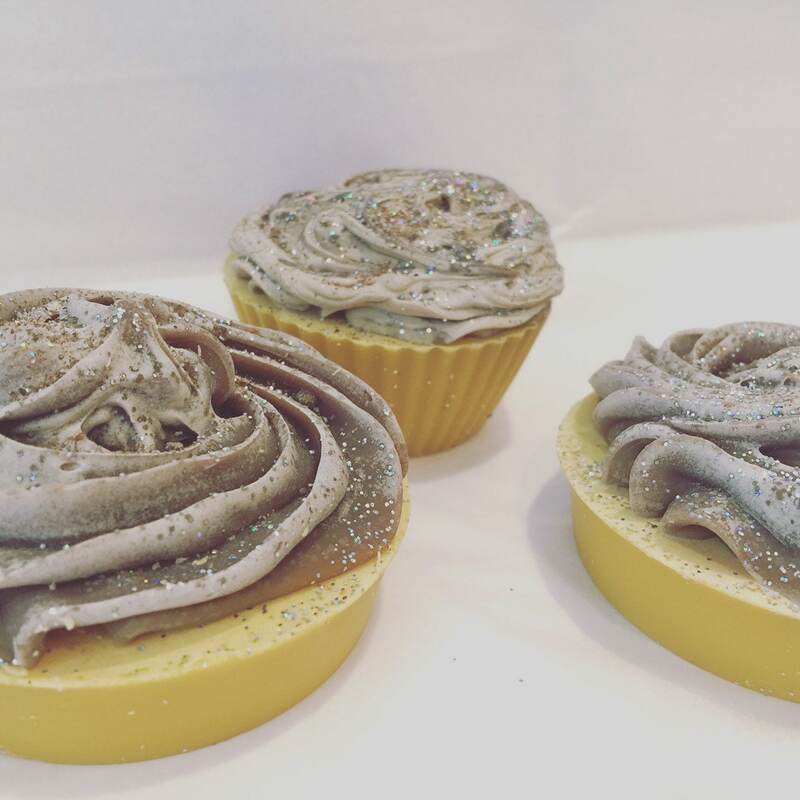 These delightful soap cupcakes smell so amazing! They are made with all natural herbal infused oils, and essential oils. The frosting is made with coffee & cardamom infused oil, and mica powder. The base is made with pumpkin purée and carrot juice. They may look glam but that’s just creativity! Sprinkled with biodegradable glitter ! So beautiful! They would make a great gift for your conscious friends and family members 💜.